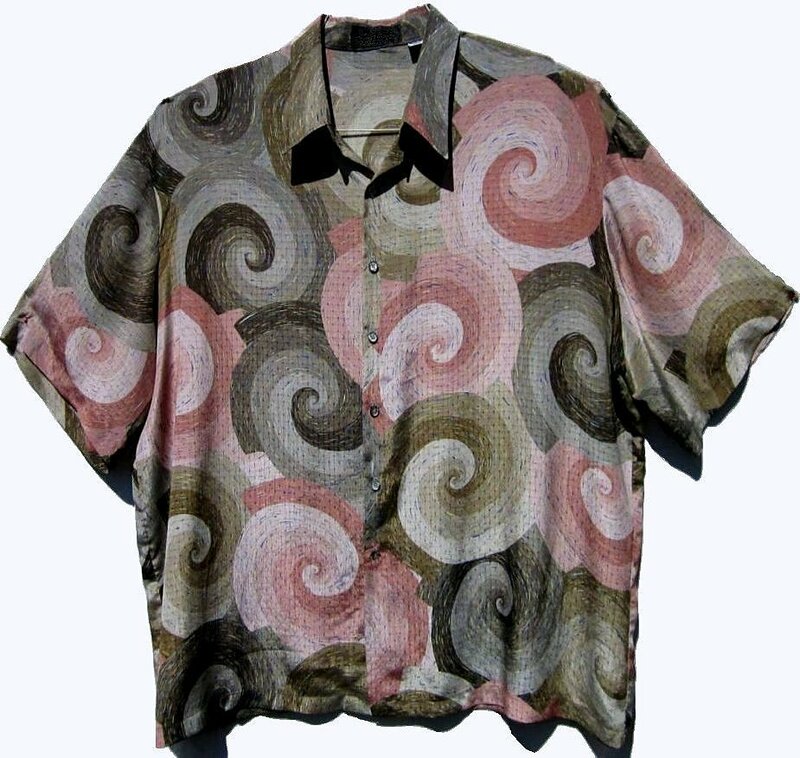 This shirt is somewhat subdued in color, but it has a great pattern. The colors are a bit less intense in person. The fabric is as light as silk, yet it is a paper thin washable polyester. The shirt is perfect for a hot frenetic 70s party. The colors of the swirls are an Olive Brown (NOT GREEN), Tan, Beige, Violet, Bronze, Chocolate Brown and Light Brown. There are little colored flecks all over it in Royal Blue, Turquoise Blue, Light Blue, Yellow, Lime and Orange. The shirt will match Brown, Tan, Khaki or Salmon colored pants. it is Machine Washable Inside Out on Gentle or hand washable. Hang dry. The shirt is 62" around at the armpit level for a 56 - 58 Fit. It is 26.5" across the shoulder back. The length is 31" normal.